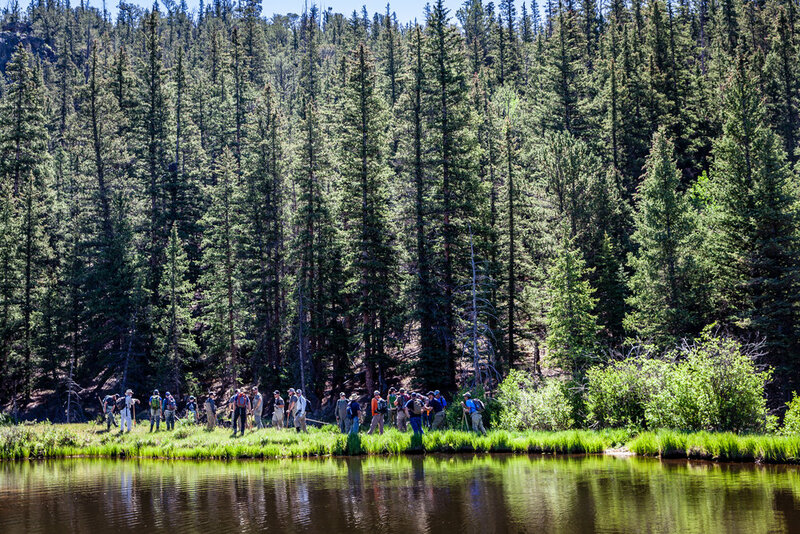 In the Tarryall headwaters, Colorado TU is partnering with the US Forest Service, Colorado Parks and Wildlife, and a local ranch owner on a program to restore greenback cutthroat trout in a connected “metapopulation” spanning Rock Creek and its tributary Black Canyon. Rock Creek can be found in the Lost Creek Wilderness Area and is a tributary of the Tarryall River, which then flows into the South Platte River. Work within this project includes both eradication of whirling disease from the lower watershed and restoration of native trout throughout the reach. To do this, 1 of the first 2 removable barriers was installed in 2017 to isolate and protect the habitat while non-native fish and whirling disease is removed. Once that is done, the stream will be reconnected. A permanent barrier will be placed at the bottom of the project reach, near the Lost Park Road. 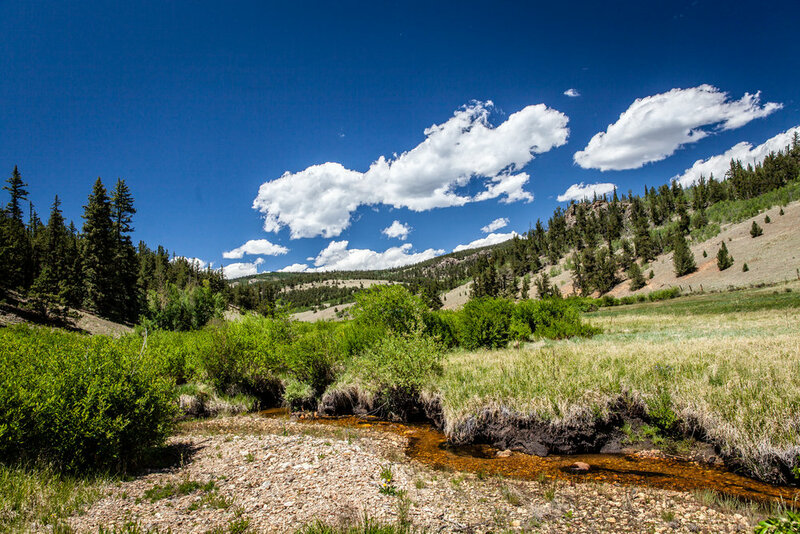 The end result will be more than 8 miles of connected quality habitat for Colorado’s rarest trout. Volunteer work in the area includes: barrier construction, removal of non-native fish, riparian restoration, habitat improvements, and eventual restocking. Volunteers and partners are working to restore the area through trail maintenance, willow planting, stream improvements, erosion control, fencing, and more! Basin & Bend has chosen Colorado Trout Unlimited as their conservation partner this quarter and is helping support the Rock Creek Native Trout Restoration project by giving back 11% of every purchase from July 2018-September 2018. Once plentiful throughout the South Platte River Basin, the Greenback suffered significant impacts from early settlement, mining, habitat loss, and invasive fish species. Once declared extinct in 1936, biologists in Colorado have been working tirelessly to bring this native fish back to life.